From chaos came creativity and hope for a broken city. When a massive earthquake shook Christchurch city, in the South Island of New Zealand in 2011, razing much of the city to its foundations, a vibrant community-led effort grows out of the quake’s aftershocks to transform the urban wasteland of the central city into a giant canvas for people to express their responses to the earthquake and their hopes for the city. 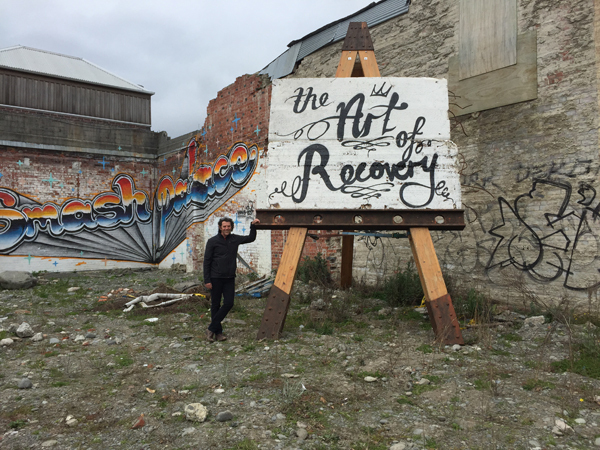 The Art of Recovery documents one of the most dynamic, creative, and contentious times in the history of Christchurch. It tells an uplifting story of resilience and community spirit that informs a greater conversation about how we live together, and how we build our cities. Winner of the best documentary at the Lund Architecture Film Festival (Sweden, 2016) and best feature of the New Urbanism Film Festival (Los Angeles, 2016), The Art of Recovery was made available to the Pittsburgh History & Landmarks Foundation courtesy of Fisheye Films Ltd, New Zealand. This screening is FREE to the public. RSVPs are appreciated: marylu@phlf.org or 412-471-5808 ext, 527.